One of the companies being sued by the co-owners of a former Salem-based computer training firm filed for bankruptcy last week, making it even more difficult for the principals of United Training LLC to collect the $4.3 million that they had expected to receive after selling their business. United Training was sold in 2011 to a New Horizon Computer Centers franchisee. One of the entities to which United Training was sold, NH Northeast, filed for Chapter 7 liquidation in Michigan, claiming that it owed $16 million, including the $4 million to United Training and more than $4.6 million to its manager and president, Robert Orley. 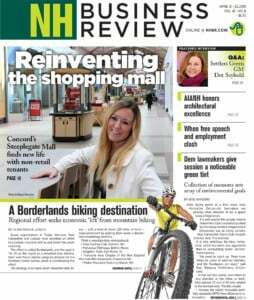 NH Northeast had already sold off its assets – primarily franchises in New England, including one in Nashua – leaving an empty shell. It was supposed to guarantee payment to United Training by NHCLC-Seattle LLC, the other target of the United suit. His former partner, Chris Roy, who founded United in 2001, has since moved to Seattle to work for Microsoft, formerly United’s biggest client. Although the two sold the company for $4.3 million, they agreed to take most of their payment through future profits over the next five years. They received $100,000 at closing, another $150,000 shortly afterwards and were supposed to get half of the quarterly profits, or the rest of the payment by January 2017. They were also supposed to work for the new company, but said they were told shortly after the sale that there was not enough money to cash their paychecks. The Salem company stopped operating in early 2014. Meanwhile, the larger franchise sold its assets in August to another franchisee, New Horizons Great Lakes Holding Corp. in Michigan, which now owns the Nashua training center. In December, the former United Training partners filed suit in Rockingham County Superior Court, charging that both companies manipulated the former United’s financial affairs to artificially deflate profits. The defendants said they were simply sticking to the terms of the deal. According to the bankruptcy filing, the larger franchisee NH Northeast had a gross income of $28.6 million in 2012, $25.9 million in 2013, $13 million last year and no income in 2015. The company reported a total debt of $16.57 million, of which $4.22 million is secured and $12.35 million is unsecured. It reported no assets, and at $4 million, United is the largest unsecured creditor. The company said it owes Orley, its president, about $3.2 million in secured debt and $1.2 million in unsecured debt. Orley did not return phone calls.